Most companies in the U.S. have company cars and fleet vehicles that represent billions of dollars of balance sheet value. Fleet managers do a good job of managing vehicle value when in their control; however when the time comes to dispose of company vehicles, most companies do a poor job of maximizing the sale value. With options limited to DIY retailing which is expensive and time intensive, or quickly selling via auction or wholesaler, companies are leaving tons of value on the table, in some cases, up to 50% of their fleet’s true market value. Conversely, when American consumers sell their cars, they are increasingly choosing a third option that maximizes their value – the private market. While companies can do the same thing, many rarely do because selling privately is time intensive and distracts them from operating their core business. 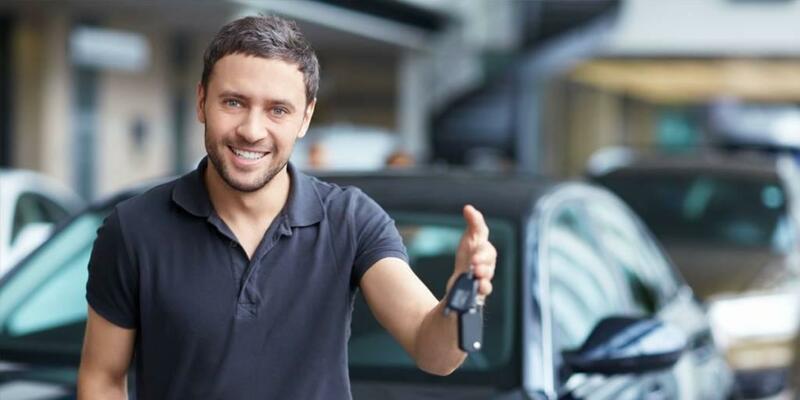 Vehicle consignment, however, is a new model in the used car space that allows individuals and companies to achieve the maximum sales proceeds from a vehicle sale without having to do any of the work. In the consumer market for used cars it is commonly understood that wholesale values, those typically offered by a dealer for a trade-in or purchase, are the lowest values one can expect to receive for their vehicle. While consumers can shop for marginally better trade-in offers, the difference is generally tens or hundreds of dollars, not thousands. Conversely, consumers also know that retail values, those typically offered by a dealer for resale, are the highest values they can expect to pay. While consumers can negotiate for a better price, the best “deal” is also typically a matter of tens or hundreds of dollars, not thousands. That is why increasing numbers of consumers, roughly 30% of used car buyers and sellers in the US – over 13 million times per year – choose to buy or sell their used vehicles in the private market. Effectively, the large spread between wholesale and retail values, give private buyers and sellers a large surplus that they can share, effectively enabling sellers to get more money for their car, and buyers to get more car for their money. The surpluses gained from private transactions do not come without some costs, however. In order to gain the incremental margin, consumers must endure the inconvenience, discomfort, and potential dangers of the private market. It is difficult to find and evaluate private party vehicles, information is often asymmetric, participants are not always trustworthy, and even if buyers and sellers are able to navigate all of these roadblocks it is still difficult for buyers and sellers to meet at the precisely right place and time. As a result, private buyers and sellers are increasingly turning to vehicle consignment as a way to offload the risks and hassles of buying and selling privately to service professionals that are trained, credible, and licensed. Fleet managers have a lot on their plate. In addition to being responsible for managing ongoing fleet operations, their actions can have a significant impact on a company’s profitability depending on how they manage fleet disposition. Many of the most time-consuming fleet management activities do not directly impact the bottom line but they distract the fleet manager from minding the tasks that most impact the business’ profitability (e.g., selling the vehicles). To compensate, most managers dispose of inventory in the most time-efficient way via auctions, wholesaling, and employee sales, rather than the most value-optimizing way. Wholesale – Companies can wholesale through professional wholesalers, vehicle auctions, or by trading in for newer cars at a dealership. While the various wholesale options maximize speed of disposition, they have the obvious drawback of marginalizing the sales proceeds. Donate – Companies may donate the vehicles to charity, but charities rarely use the vehicles themselves and end up wholesaling on their own, which minimizes the donor’s tax deduction and the receiving charity’s proceeds. Employee sale – Companies may also sell their vehicles to employees, but problems may arise here as well. For example, if the vehicle has mechanical issues, it may create ill will with an otherwise satisfied employee. Similarly, if one employee gets a great deal on a car, others who were not able to participate in the sale could perceive it as an unfair bonus. Private sale – Companies may attempt to sell their vehicles privately by listing them on popular vehicle sale sites like Autotrader.com or Cars.com. While this route can secure greater values than the other options, it is fraught with the risk, hassle, and uncertainty of dealing with potential strangers. Companies also don’t have the ability to help buyers with financing or warranty solutions that enable buyers to transact at higher prices. Retail operation – Company’s with larger fleets may build ancillary retail operations to manage disposition, but that is difficult, costly, and requires building proficiency in an entirely separate business. Companies have fleets or corporate vehicles that typically come in three sizes. While not necessarily correlated with the size of the company, let’s call these fleets small, medium, and large. Small fleets, such as a local copier supplier that provides vehicles for its sales force, are typically managed by a designated employee and sold at wholesale or to an individual within the company. Medium fleets, such as a regional pharmaceutical sales organization that has hundreds of vehicles throughout its sales team, are typically overseen by a fleet manager, who has authority over fleet acquisition, management, and disposition. Large fleets, such as those owned by nationwide car rental companies, will have several fleet managers and a retail operation to maximize the value of the fleet’s disposition. The direct cost to manage small fleets is basically zero. The indirect cost, however, could be large: by wholesaling the fleet, the small fleet company is giving up thousands of dollars of value per vehicle. The medium fleet suffers the same per vehicle value loss when wholesaling as small fleets, but the overall financial loss is much greater due to the size of their fleet and the compounding effect of employing a fleet manager. The large fleet is in the best position to avoid losses incurred when wholesaling because it can dispose of most vehicles through its own retail operations, but it incurs tremendous direct costs in organizing and managing its retail network. When choosing the consignment route, companies are able to achieve near retail values without incurring the costs of employing a fleet manager or maintaining a dedicated retail operation, and it avoids the “soft” costs of employee ill will and suboptimal inventory disposition. Ultimately consignment really is the best option when selling company owned vehicles for fleets of any size regardless of the alternative disposition strategy. By consigning a vehicle to a vehicle consignment operation like CarLotz, companies of any size can achieve near retail prices without any of the hassle typically associated with the private sale of a vehicle. Companies who have chosen to use this model have the cars picked up, inspected, cleaned, photographed, and listed at the consignment store lot. When the vehicle sells, the company receives a check for the proceeds less the consignment fee. In the case of CarLotz, its corporate customers net between $2,000 and $5,000 per vehicle after fees without having to put in any effort or dealing with the hassle of the private transaction. Corporate customers can focus on running their businesses, while CarLotz works to put meaningful dollars back on the company’s balance sheet. With millions of company cars and fleet vehicles sold each year, the decision of companies to consign their vehicles instead of wholesaling can result in billions of dollars of value placed back on companies’ balance sheets for investment in growth or returned to its shareholders. For more information on how CarLotz can professionally sell your Company’s fleet vehicles or company cars, please see visit www.CarLotz.com or call (757) 639-5934 and ask to speak to Brent Garrett, who manages the Company’s Corporate and Fleet sales.